The Huawei Enjoy 6 is now official though for the time being limited to China. It takes on the Xiaomi Redmi 3 head on with a 5" AMOLED screen (720p resolution) and a metal body with a fingerprint reader on the back. The phone is powered by a MediaTek MT6750 chipset (octa-core CPU) with a surprisingly roomy 3GB of RAM and a more cramped 16GB storage (there’s a microSD slot, though). The Enjoy 6 runs Android 6.0 Marshmallow, skinned with Emotion UI 4.1. There’s a 13MP camera on the back (f/2.2 lens) and a 5MP selfie camera on the front. This is a dual-SIM phone with 4G LTE connectivity and VoLTE support, powered by a 4,100mAh battery. 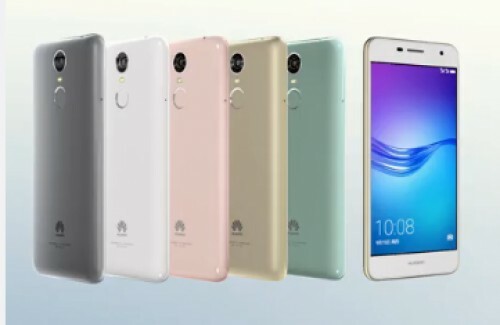 Sales of the the Huawei Enjoy 6 start November 1 at CNY 1,300 (equivalent to $190/€175). That’s pricier than the Redmi 3s (CNY 900 for 3GB/32GB), which offers similar specs. Also, Huawei is mum on plans to launch the Enjoy 6 outside of China. The average is still higher for AMOLED.